The participants of the meeting, held on February 22 in the UPF Peace Embassy, represented different religions, public organizations and the media. Opening the event, Dmitry Samko, chair of UPF-Moscow, spoke about the historical background preceding the adoption in October 2010 of the UN resolution proclaiming the first week of February as World Interfaith Harmony Week. He then presented a report on events held by the youth wing of UPF together with the participants of the Mister and Miss University pageant. Buddhist Lama Sanzhiev Sanal spoke about the different levels in the teachings of the Buddha and the practical application of this deep knowledge in our daily life. He also talked about the similarities between Buddhism and the Abrahamic religions. 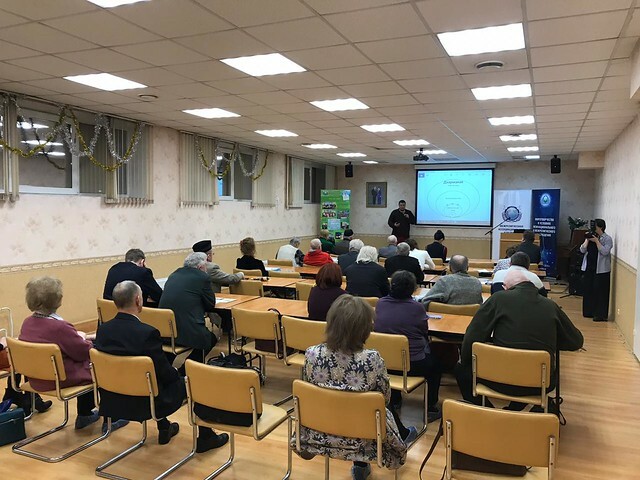 Valery Emelyanov, executive director of the Time and Peace information and analytical center, emphasized the need for not only regular interfaith dialogue but also practical steps. The final presentation was given by Konstantin Krylov, regional secretary general of the Eurasian branch of the Universal Peace Federation, who spoke about the need for absolute universal values, without which even the best ideas about equality and fraternity sometimes lead to permissiveness and the distortion of traditional values. He drew a parallel between modern society and a parentless family. Just as modern society does not take into account the highest ideal, the divine presence, in a parentless family the brothers and sisters lose their spiritual and moral reference point, a certain vertical rod that defines the goal and value of the family. Mr. Krylov’s explanation of UPF international programs and its plans for the coming year also aroused great interest among the participants. The meeting ended with an animated discussion on monogamy vs. polygamy, as professed by adherents of some faiths. While UPF maintains confessional neutrality, its position for universal peace is based on traditional family values, in which marriage is a union of a man and a woman based on the love of the Creator.